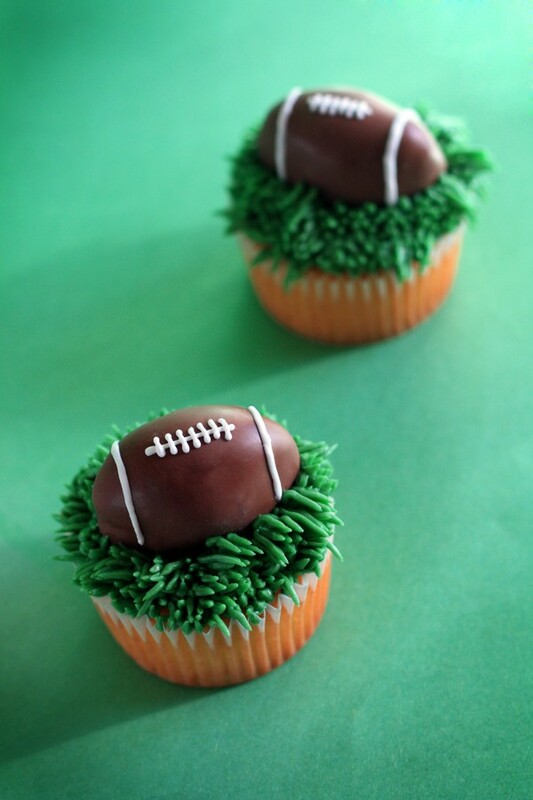 Football season is here again, and these sweets are perfect for your next tailgate party. Whether you're an avid baker or someone who prefers appreciate the baked handiwork of others, you're sure to find a treat below that suits you. 1. 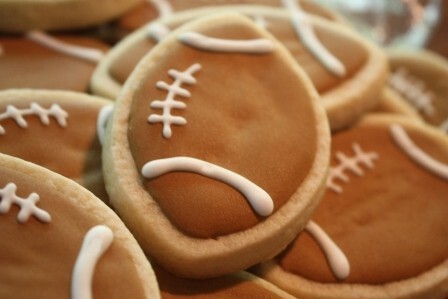 Football Tailgate Party Cookie Favors: These football-shaped cookies by Debra Buker are made with a cream cheese-sugar recipe and frosted in royal icing. The individually wrapped cookies make perfect takeaway tailgate treats and can even be personalized for a football-themed party. 2. 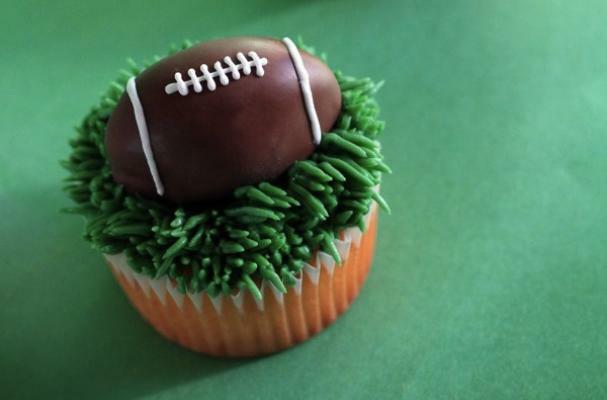 Football Cake Balls Cupcake Toppers: If you prefer to bake your own cupcakes, consider topping them with these football-shaped cake ball truffles. Each is dipped in milk chocolate and comes in one of nine flavors, including cookies and cream, red velvet cake and cream cheese, carrot cake and cream cheese, and banana chocolate chip cake. 3. 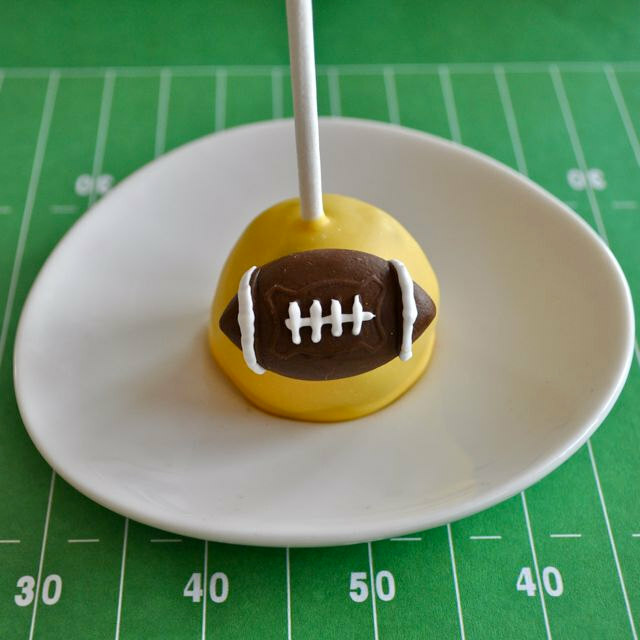 Football Pops: Everyone loves cake pops, and these football-shaped cake pops offer the perfect bite. They come in nine different flavors, including strawberry shortcake, champagne cake and carrot cake, and are dipped in milk chocolate. 4. 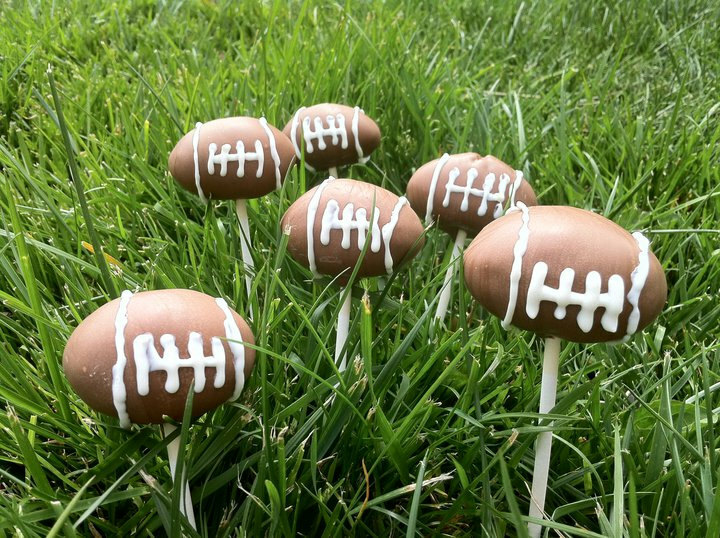 Cake Pop Fondant Toppers: These fondant toppers are especially for cake pops, and allow you to make your own cake pops without worrying about shaping the perfect football. For a fast, easy cake pop recipe, try this one, which my Foodista colleague Amy posted in June. 5. 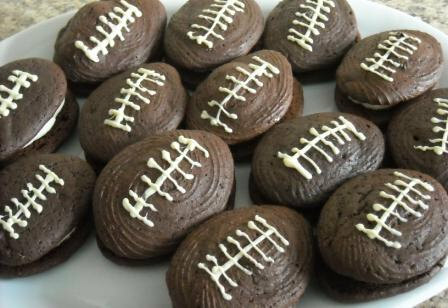 Football Whoopie Pies: Whoopie pies are standard New England fare, so it's no wonder that football-shaped whoopie pies exist. These contain a cream cheese, vanilla-infused filling and come in several different cake flavors.